At Novanna cleaning services we understand the difference between residential and commercial cleaning. Your office or commercial area needs something else besides the standard cleaning. After all, the way your office or store looks can determine what type of business deals you get or how many customers choose to walk through your door. Because we understand the importance of our job, we rise to the challenge and offer the type of office cleaning service that you and your company deserve. Many people would think that hiring a commercial cleaning company means running into expensive costs that will send your company’s budget down the drain. However, commercial cleaning should be seen more as an investment rather than an expense. Janitorial service involves a lot more than just walking around holding a mop. Whether the commercial facility is open to the public or not, whether it welcomes hundreds of employees each day or just a handful, flooring is usually the tattletale sign of cleaning efficiency, or lack of it thereof. At Novanna cleaning services we make sure that the floors in your office are clean and safe 24/7. Because extensive floor cleaning can be more effectively carried out at night or weekends (when the facilities are closed to the public); we go through deep, thorough cleaning (deep clean, floor wax or steam vacuuming) during that time. Nonetheless, floor cleaning cannot be done only when the office is closed or traffic is slow. Our concern involves not only the way the floors look, but above all, the dangers of neglecting floor cleaning during the day. After all, a dirty floor, full of debris or spills may mean a safety hazard to both customers and employees alike. Besides mastering the techniques, floor cleaning is all about choosing the appropriate cleaning equipment as well as the right products. We deal with all types of floor surfaces: laminate, hardwood, tile and grout, carpeted, plastic and any other surface commonly found in commercial areas. Restroom cleaning is done by using the latest and safest cleaning and sanitizing techniques. Adapted according to amount of public and number of employees, our restroom service will help you feel at home, even when at the workplace. 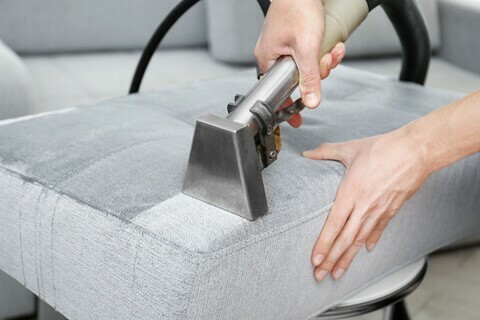 Plant watering, dusting, furniture polishing and wiping are also some of the other tasks that we provide in our commercial service. Contact us and get a quote. You will be surprised at how convenient and affordable our services can be. After all, you deserve a cleaner experience.